Cape Town - A national minimum wage set at a meaningful level will significantly reduce poverty and inequality and give a welcome boost to South Africa’s GDP, new research shows. 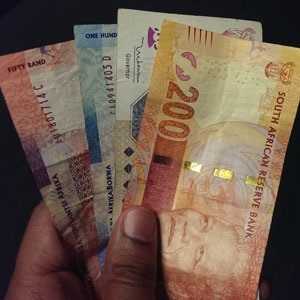 Applied Development Research Solutions (ADRS) – a company that does economic modelling and research – recently published a working paper to consider the effects on the economy should a national minimum wage be implemented. In the study a particular economic model was used that captures the interactions between macroeconomic performance in South Africa with poverty and income distribution at a household level to see what effect a national minimum wage would have on household income, consumption and GDP growth. Government, trade unions and the private sector have been at the negotiating table about the national minimum wage since 2014. A number of sector-specific minimum wages are already in place, but many workers are left out. The discussions have stalled on numerous occasions over disagreements on the amount that would make a meaningful impact on the lives of lowest paid workers, while the private sector argues it would lead to significant job losses. The working paper, authored by Asghar Adelzadeh and Cynthia Alvillar from ADRS, shows that the implementation of a national minimum wage will directly increase the income of millions of workers. A national minimum wage set at a minimal amount is expected to benefit at least 4.26 million workers. Conversely, a relatively small number of workers (1 600) could lose their jobs as a result of a national minimum wage. For the purposes of the study, the researchers developed five economic scenarios to find out what the effect of a national minimum wage set at various levels would be on the lives of workers. 2. the minimal scenario where a relatively low minimum wage is added to the business-as-usual scenario. It sets a national minimum wage at the lowest sectoral determination for 2015, which amounts to R2 250. 3. the index 40%-scenario where a national minimum wage is added to the business-as-usual scenario by indexing the minimum wage to the median wage. This would automatically increase the minimum wage to keep pace with the typical worker’s wage, linking it to the overall conditions in the labour market. Annual wage gains are in line with overall demand for labour in the market. In this scenario the national minimum wage is indexed to 40% of the inflation-adjusted average real wage for full-time workers in 2015, which amounts to R3 467. 4. The index 45%-scenario by indexing the minimum wage to 45% of the inflation-adjusted average of full-time workers. 5. The maximal scenario – where the researchers looked at what would happen if a relatively high national minimum wage is added to the economy, which begins at R6 000 per month for full-time workers. In the four scenarios where a national minimum wage were implemented, the researchers predicted that the average of the real wage rate would increase by 8.5% in the minimal scenario, by 21% in the index-40% scenario; by 38% in index-45% scenario; and by 36% in the maximal scenario. The introduction of a national minimum wage will especially increase wages at the bottom of the distribution, mainly in the primary and service sectors. - decrease poverty and reduce earnings inequality. The authors note that although a national minimum wage could increase the annual unemployment by 0.2% the effects are small.